One of my new favorite online stops you can shop hand-crafted wines while you give to charity is craft1933! At craft1933, a members-only marketplace, you can discover and shop hand-crafted wines from boutique wineries. 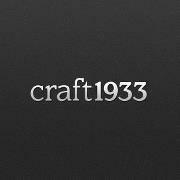 A portion of every purchase on Craft1933 is donated to a great non-profit! I hope I see them add the Cystic Fibrosis Foundation soon! « Coupon Alert – Free Small Sub at Quiznos!